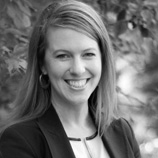 Heather joined The Annuity Source, Inc. in 2001 and is currently our Chief Marketing Officer. She offers a wealth of knowledge in all aspects of the business and is hands on with our advisors on a daily basis. Heather offers a personal touch with case preparation, analysis and direction. She is a graduate of Pacific Lutheran University with a Major in Business and Minor in Economics. In her spare time, Heather plays golf, gardens and is an avid football fan. She currently resides in Sammamish, WA with her husband Keith and son Rhett.